Years ago, I couldn’t articulate my reasoning very well. People always told me I’d change my mind later – I was too young to make such a decision. Yet here I am today, still 99 percent sure kids aren’t part of my future. Given that we’ve had many wonderful posts revolving around kids, money, and family here on Frugal Rules, I thought I’d offer up a different perspective. I believe it’s completely okay to decide to not have kids – even as a woman – and it’s important to shed the stigma associated with it. With Mother’s Day just a few days away, I’ve been reflecting on what it means to be a mom, and whether or not motherhood is something I’ll ever experience. 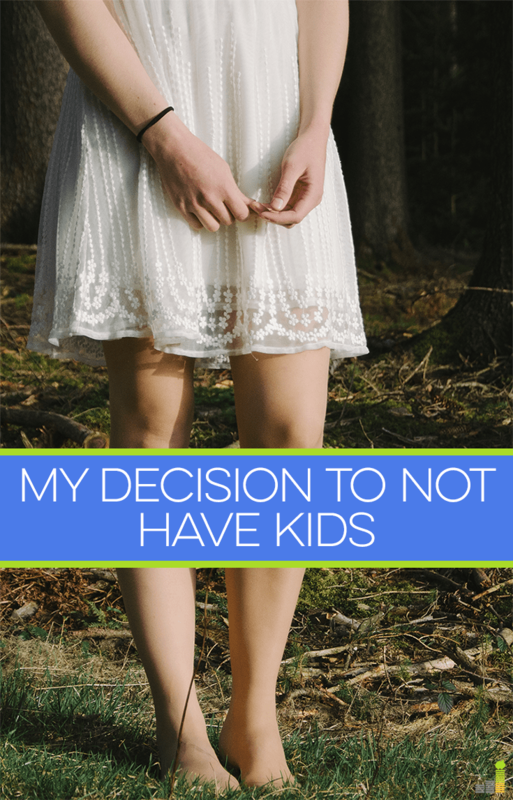 So, what’s behind my decision to not have kids? We might as well address the first (and obvious) issue of cost. There are many statistics thrown around about how expensive kids are for their first 18 years of life. I don’t tend to fully believe those numbers, as parents are often tempted to go overboard when there’s no need to. Children, like most things in life, are as expensive as you want them to be. There’s also the other issue of feeling financially prepared. It’s always best to start saving up for a baby beforehand, as unexpected medical costs can occur. I myself spent about four days in the NICU, and went through a surgical procedure when I was hours old. The last thing you want to do is worry about whether or not you can afford the medical bills once you get to take your baby home with you. I know there are a lot of parents who say you’ll never feel 100 percent prepared to have a kid, even when it comes to finances, but I honestly wouldn’t feel ready right now. Heck, I don’t even feel ready to buy a house! The financial benefits of not having kids does factor into my decision (and yes, there are financial benefits to having kids, too). If we assume kids do cost upwards of $150,000, that’s a lot of money that could have been put toward retirement instead. In a way, I see not having kids as a way to keep costs low in order to retire sooner. That sounds pretty selfish, doesn’t it? Well, I might as well put it out there. I’m entirely too selfish with my time to be a mom. There are so many things I want to accomplish in life, and it sounds cruel to say it, but having a child would get in the way of my goals. I like being able to sleep in, I like being able to go somewhere on a whim, and I want to be able to change the direction of my business/career without having to worry about providing for my family. That’s not to say you can’t do any of that with children, but I imagine it’s a little harder. I have no plans to settle down right now, either. I want to travel, both internationally and domestically. I wouldn’t mind moving around and exploring different parts of the country. If I were to have kids, I’d rather give them a more stable lifestyle. Not one where they’re uprooted every year or so. I moved once when I was younger, and I remember being terrified of going to a new school and having to make friends again. I really don’t. It sounds awful, but if I hear a baby crying, my first reaction is to run in the opposite direction. That’s not to say I’m ruthless, of course! I do love my family and my partner (and my cats), and I try my best to take care of them. That’s nowhere near the same as being responsible for a newborn, though. The thought of being responsible for the type of person I manage to raise terrifies me. Do you know anyone (or maybe you can relate) that just knew they always wanted children? Girls that would play with their dolls, and make them interact as one big happy family? That was never me. When I was younger, I thought it was much cooler to play with Legos, Hot Wheels, and Kinex. I didn’t exactly take the best care of the dolls I had. Don’t get me wrong here. While I may not have any desire to be a mom, I give a lot of credit to those who are. Being a mother is not an easy job, and I don’t think moms get thanked enough for all the work they do in raising us. I am forever grateful to my mom (and dad!) for all the lessons they taught me as I was growing up. They weren’t perfect parents, and I wasn’t a perfect kid. Yet, we turned out fine. When they retired and moved away, I missed them more than I thought I would. My mom and I Skyped every day, and continue to do so even after I moved to be closer to them. I do have to admit one thing: I have zero experience with kids. I was too young to babysit my youngest cousin when she was born, and I never thought to try babysitting while I was in school (wonder why!). However, one of my cousins gave birth to an amazing little girl a little over a year ago, and one is set to give birth soon. Watching them go through the transition has been interesting, as it’s forced me to give more thought to the matter. I know you can’t put a monetary value on your family, and I know the “price” of having kids is worth it to many. There are plenty of parents traveling around with their kids and having fun. There are many more who run their own businesses and are successful entrepreneurs and parents. I just don’t think it’s the right path for me. What side of the fence are you on? Did you change your mind on having kids? Are you not planning on being a parent? Have you had to make any compromises since becoming a parent? I give you a lot of credit for putting your feelings not to have a child right out there. I think the point you made that struck me most is your comment about being selfish and the corresponding reasons. Being a parent (my daughter is 32) requires a lot of selflessness and putting aside of your own desires. You know yourself and you know how much of yourself would be needed to be a good mom. In today’s society, many people become parents that shouldn’t be because they don’t want to put aside their own needs. Who suffers? The child. Your reasons are you own, but I applaud you for being honest about it and realizing motherhood just isn’t for you. Thanks, Maureen! It’s very true, and I’ve seen my mom make many sacrifices over the years – not just for me, but for the family as a whole. I’m always thankful for that, but it’s not something I could see myself doing easily. The best time to realize you don’t want kids is BEFORE you have them. There are people who will not understand your reasons, and that is their issue. If you don’t want children, then don’t have them. It doesn’t mean you are a bad person. It doesn’t mean you are selfish. It simply means you don’t want children. Your life will be fuller and happier when you are true to yourself. I think your position is totally valid, and one that a lot of women are not brave enough to state. I think a lot of women face a pressure to do it all, be a perfect mom and have a hot career. I think there are a handful of women that can do that, but I’m certainly not one. Right now, even though I’m working full time, I am much more focused on my family than I am on my career. Once my son and any future kiddos are grown, I intend to focus much more on my career. That’s another great point – the pressure to “do it all” is slightly ridiculous. I’m getting close to my one-year mark being self-employed, and I can safely say there’s no way I would have been able to do it with a child! I admire those that can. Putting family first and focusing on your career later on is a great way to go. I don’t really understand the backlash against people choosing not to have kids. I think it’s great. Not sure what I want personally, but no kids any time soon. I’m not entirely sure, either. I guess it’s just strange to those who never questioned having kids. I’d much rather someone recognize that they might not want to have children as opposed to someone who merely wants them as a trendy accessory. Raising a child properly does take a lot of time and effort. Forget that saying about quality time vs. quantity time. Kids don’t schedule their needs around the parent’s desire to give them an hour of quality time next Tuesday. They need you when they need you and if a person isn’t willing to give up their own needs (to a certain extent) then they shouldn’t have kids. I applaud anyone who makes the choice for all the right reasons. I chose to have one child and focus all my attention on him rather than divide my attention among several. I’ve never regretted it for a moment. Thanks for sharing your insight, Kathy. It is horrible when people have children for the wrong reasons. I’m pretty sure my parents were quite happy with their decision to just have me, despite how often I begged for a sibling when I was younger! This is a hot issue for me! Everyone always tells me: “Oh, you’ll change your mind!” or “That’s going to change when you meet the right guy!” BLAH! I’m with you. I’ve known for a long time that having children isn’t in my life plan. I even work with children full-time, but I know I want NONE of my own. Also, just because we choose not to have children of our own, doesn’t mean we aren’t “mothers.” If you have nieces and nephews that you love and help with, that’s a type of mothering. If you have pets, that’s another way to mother. If you mentor kids in an after-school program, in a way, that’s a type of mothering. Some people just can’t accept that we choose to NOT have children of our own, and then because of that we will never have a “full” life. Honestly, I think that’s people who can’t accept that people are choosing a different lifestyle than they are – if they want kids and a big family life, everyone must want that too, right? Except no, my life is full of friends, love, and jobs that I have a lot of fun doing. I don’t need a kid to make my life better, that’s on me. I was going to comment the same thing. I hate when people say I’ll change my mind. I’m already 30 and my dislike towards children grows every year. I react to babies how most women react to giant spiders. Everyone is different, no need to pressure someone into having kids they don’t want! That analogy was too funny. Yes, everyone is different – not all women are wired to be mothers, and that’s perfectly okay! I know that when my mom reached the place where she couldn’t live on her own that despite never wanting to live anywhere else except the big city she chose to move to a home near me because she realized that her friends were also too old to visit and we would. I don’t worry about what will happen when I get old because I know my kids will be there. BUT they don’t have kids and I do worry how their old age will be for them. Just another point of view – yes we give them 20 good years of our life but often they give us those year back at the end. Otherwise we die alone. Oddly enough, that was my ex’s argument for wanting kids. He didn’t want to die alone. At the time, I thought it was a bit selfish (that’s literally the only reason he could come up with). However, my aunts and my mom have their own thing going on, and my grandma is pretty much alone these days. Many of her friends have passed away. We keep trying to convince her to move closer to us, but so far it hasn’t worked. She manages to keep herself busy, and I can only hope to be like her later on! I see plenty of retirees in my parents’ community thriving even though they’ve moved away, which gives me hope. That’s a very high price to pay, having children, devoting all of those years, spending all of that money and expecting them to take care of you when you are old. I know so many people that hate their parents or have very little contact with them and prefer distance, even the ones that live close by but don’t get along. I hope that doesn’t happen to you, but I know of dozens of women that only had children for those reasons you mentioned, they hated motherhood and in the end not only they won’t have their own taking care of them, they also had a miserable life for following the path of parenthood. I’d die alone any day to not have to go through a lifetime of misery and regret! I am lucky to have AMAZING parents, but I hope I wasn’t put in this world with the same expectations, as I can barely take care of myself alone, let alone of others. I will give all the money I can if I have too, but forget about me having to be someone else’s caregiver myself! I love this post. I never thought about having kids until I got pregnant….too late, so I applaud you for making a conscious decision not to have kids. There are so many people who should not have children that its really sad. I can think of a few people who I know personally that fall into that category. I’m finally able to be a little selfish with my time now that my youngest is 19 and in college. Do what’s best for you. That’s interesting, Pamela. 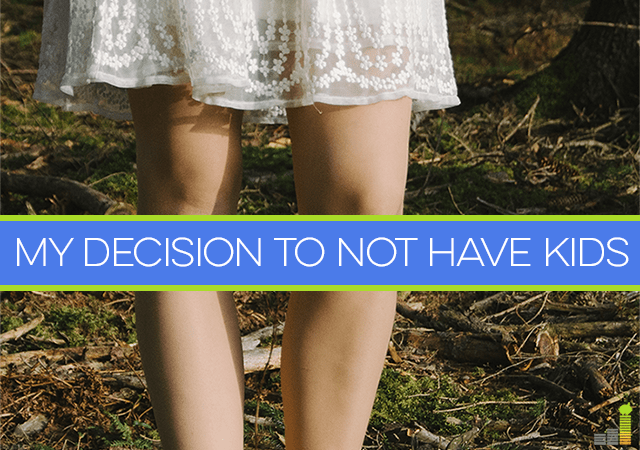 I’m not sure why the thought crossed my mind beforehand – I guess because I felt so strongly about it, I knew I never wanted it to be a possibility. I remember telling my first boyfriend within a month of dating that kids were basically a no for me. I hope you’re enjoying some “me time” with your son in college! Aw! I’m sure it’s quite hard to imagine your life without kids once you have them. I did not plan to have children either, Erin. Over time my feelings changed, but I absolutely respect your decision to not have kids. It is a very personal choice.There is a lot of pressure to have kids, which I’m sure you deal with regularly but kids for the sake of “having” them isn’t right either. I’m glad you are honoring your heart. Some things are never truly set in stone, so I’ve made an agreement with myself that I’m completely okay with adopting should I somehow happen to change my mind much later on in life. I am very thankful that my immediate family respects my stance on the issue, so I don’t get too much pressure there. I just wish it was more widely accepted. Everyone should be able to follow their heart when it comes to important matters like this! I hate that women have to justify not wanting children. No one thinks it’s weird if a guy doesn’t want them. We do want kids, but it looks like it’s probably not in our future. I’ve had 5 miscarriages. We’ve made the rounds at a couple of specialists that confirmed that there doesn’t *seem* to be anything wrong. We’re going to try one last time, but I don’t think my heart can take much more. And IVF is too expensive, especially when there are so many kids already in the world. (Another reason it’s okay for people not to want to have kids. Some people have to opt out or overpopulation would be even worse.) Unfortunately, health problems mean no one is going to give us a baby. So we may or may not go the foster route. But I’m also just making my peace with the idea that we may not have kids. And yes, there’s part of me that thinks about all the extra money we could put into retirement and travel. I love this comment, Abigail, and I certainly agree with the first and last sentences. I’m so sorry to hear about the miscarriages, though – I can’t imagine how heart wrenching it is to go through that. Fostering and adoption are perfectly okay routes to go, and that’s what I plan on doing should I happen to change my mind. I do think the world is overpopulated as it is, and too many kids are without a loving family or home. It makes more sense (to me) to adopt or foster rather than contribute to it. I enjoyed your article. I too don’t have and do not want kids either. At one point, my career required waking up very early and having unexpected evenings and occasional weekends, so I just didn’t think I could be a very good parent. And if I tried, it’d be very physically, emotionally, and mentally taxing. Although not having kids have no doubt has increased my savings, that was not my motivation. That said, kids do cost a lot financially. The one thing that I’ve thought about more and more, and it’s something that I encourage you to consider as well, is how you may cope in your old age. My Dad passed about 17 years ago and he had my Mom and 3 kids to take care of him. My Mom now has many ailments and she has the same 3 kids to take care of her. When I grow old, I will have no one look after me, which is kinda sad. Yes, there’ll be robots in the future, but with kids, it may make aging a more tolerable process. Of course, there’s no guarantee that kids will take care of me, but one can hope. The other thing that non-parents should consider also is the simple joy of raising kids. While I haven’t experienced it, I can see a lot of friends and colleagues deriving so much joy from seeing their kids grow. Of course, they can be total pain some time, but they can also bring a lot of love and joy to one’s life. Just a few things to consider. I slightly addressed this concern above in another comment. I don’t personally think depending on your children to care for you when you get older is a good thing. I love my parents (and they know I’d do anything for them), but they’re also very stubborn. The same goes for my grandma. She’s extremely independent and at 83, is still doing fine on her own. My grandpa sadly passed away before I was born, and she’s been going strong ever since. I hope to follow in her footsteps. That said, yes, it’s a valid concern. But medicine is advancing and there are always friends and other children we may grow close to (nieces, nephews, the kids of our friends). I don’t really want kids either. It’s not that I don’t like kids, I just don’t feel comfortable around them and can’t really imagine myself as a mom. Good for you for putting this out there Erin! It does get so frustrating to hear “you’re young, you’ll change your mind”. Ugh! Yeah, I can relate! Again, I don’t have much experience with kids, so that’s possibly where it comes from, but I have no idea how to interact with them. I’m going to get a lesson in this as I babysit my younger cousin next month, so it will be interesting to see how that turns out! Yes! Saying I’m selfish and enjoy being that way is definitely one of the explanations I give when asked why I don’t want kid. I always love reading these types of posts, it is always nice to know I’m not the only one. People give you funny looks when you say you don’t want kids. But I’ve gotten better at being around kids since my niece was born. Nieces and nephews are plenty for me. You’re definitely not alone! I was actually pretty sad we moved away soon after my (technically) second cousin was born. The few times I’ve been around her she’s been a doll. It’s nice to babysit and then hand kids back over to their parents once it’s done! I am a no-kid early retiree too. Not only are kids expensive, but they are pretty gross too, especially when they are young. And life in the next 100 years will be a lot different than the last 100 years. More crime, lower real wages, higher population densities, and less freedoms than ever are here to stay. But I hope the new kids will continue to pay taxes to support my healthcare and social security! That is something I think about – do I really want to bring a child into the world with all the challenges around us? It’s something we all have to deal with, of course, but I would feel horrible if anything ever happened to them. You can’t protect kids from everything. I never wanted kids until I turned 30 and then it still took a couple of years to go for it. I had no experience with small children, not the best relationship with my Mom, and most kids still make me want to hide. But, having my own is the best thing I ever did. Things you never knew how to do just suddenly become normal and not a big deal. I don’t think people need kids to be happy in life and I hate when everyone assumes you need to have kids, but don’t be surprised at all if you suddenly have a 180 at some point. When I sat down to talk with my mom about it, she did mention having your own child is a lot different, which makes sense to me. It’s interesting to hear you had that experience, and I wouldn’t be completely taken aback if I did a 180. That’s why I’ve decided that adoption is totally fine with me. There’s no pressure and I can go ahead with it if and when it feels right. I don’t like completely shutting the door on some things, hence the 99% part! I, too, ran the other way when a newborn was in the room! I was no good at babysitting, either. But after my son arrived, I learned what I needed to know when I needed to know it. I feel like all the compromises I’ve made (& there are many) have all been worth it — just as the compromises I’ve made for my marriage have been worth it — because it means I get to spend my time on this planet with people I love, who make me a better person. I like your last sentence, Rebecca. Family is important to me as well, and I love spending time with my parents. As I said in the post, I don’t think there’s truly any way to be 100% ready to raise a child – it seems like you and many others just went with it and learned along the way! Hi Erin! Doesn’t it feel SO good to write down everything about how you feel? I went through the exact same process when I wrote a post about my conflicting thoughts about having kids about 3.5 years ago. (http://untemplater.com/relationships/when-is-the-best-time-to-have-kids/) Although writing the post didn’t solve my own questions about whether or not kids would be in my future, writing it all out was very therapeutic. I’m still happily kidless today and understand everything you talk about in this post. While my feelings have softened in the last couple years and I am now open to having kids someday, I’m also content if it doesn’t happen too. I work a lot, travel a lot, and have selfish feelings too. What’s most important is that right now you’re happy without kids and you’re in touch with your feelings. If your feelings change in the future that’s perfectly okay. And if they stay the same that’s perfectly okay too. What can be really hard is being with a spouse who wants something different, so couples just have to be as open and honest as possible about their feelings early on and throughout their relationship. Love your comment, Sydney! When I first wrote about this on my own blog, it was more therapeutic, as I was sorting through my thoughts and asking what experience others have had with it. I enjoyed reading your post and the comments on it. I’m an over-thinker too, so I guess the thought of having children is a bit more overwhelming to me. I couldn’t agree more that you need to make your stance known when you get into a relationship. I did that with my ex, but for some reason, he always thought I would change my mind. It ended up being one of the reasons we split. Being honest and not forcing your feelings on each other is extremely important, otherwise it can result in a lot of guilt and resentment (which isn’t good if you actually have kids!). I didn’t see this post until you linked to it, but I love it! I was reminded again today why I shouldn’t have kids, when I taught my fiance’s nephew an inappropriate-for-a-4-year-old word… yeah, that’s something his parents aren’t going to like if he says it around them. What is wrong with me?! Haha, I’d be a terrible, selfish parent but it’s GOOD to realize that. I have motherly instincts, in that I don’t let my loved ones (including pets) starve and I show lots of love (plus, I do like kids), but I’m fairly careless so… that’s probably not a great situation for a kid. But hey, it’s better to know it and make a conscious decision not to have kids, then to have kids without much thought and THEN realize you’re not such a great parent. It’s not like you can return kids to the store! I agree with everything else you said. I’m very caring toward my family and my pets, but that doesn’t translate over to kids very well. I just have no idea how to interact with them. It’s definitely much better to realize these things beforehand! Thanks for your comment, Chonce! I don’t disagree that much can be learned from parenthood. It’s a challenge, for sure, and we always come out stronger as we go through them.